If you look over on the right side of this you can see that The AB Silver Story is right above The Stuff. Man! I was obsessed with that movie The Stuff for awhile. I caught it one night on KTVU that's channel 2 here in The Bay Area. I only caught the final bits of it but it was nuts! Anyway, J5's Agent sent this to us in hope that we would post it and help promote the movie.. IDK, why not? 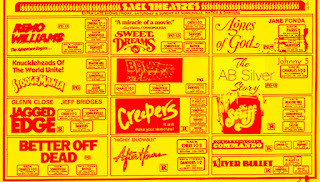 Even if you aren't into The AB Silver Story there are a ton of other cool movies on the page.. 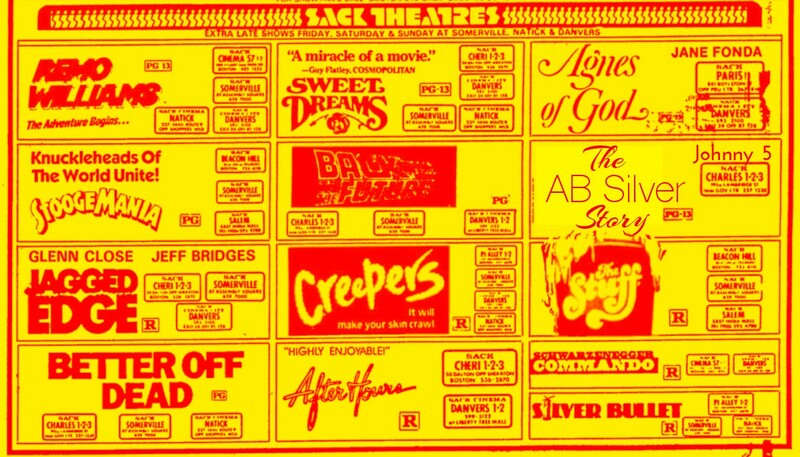 There's Remo Williams, Creepers, Better Off Dead, Silver Bullet... Man, what a time to be a movie fan! If you are interested in the movie you can follow J5 over on Twitter. He's providing almost daily updates.. His tweet deal is HERE!! !